Also commonly known as Direct Debit Instructions, it is important to understand Mandates in the world of Direct Debit. This guide will help you understand the finer points behind Direct Debit Mandates. A Direct Debit Mandate (or Direct Debit Instruction) acts as an authorisation for payments to be collected from a customer in the future. These authorisations are standardised into 3 categories regardless of any further business: Future payments are authorised allowing Service Users to collect any amount at any time from customers. It is strictly required that customers are notified of each payment before it is collected. All payments are covered by the Direct Debit Guarantee which works to effectively protect all parties from payments made in error. A Direct Debit Mandate allows customers and Service Users to organise a specific schedule of payments, suited to the individual needs of the parties involved. In order to set up a Direct Debit Mandate a DDI (or Direct Debit Instruction) form must be completed in one of three ways: Paper: A hand completed paper form is the most traditional way of completing the action. Telephone: Customers can phone their Direct Debit provider and details can be collated in that manner, if customers prefer to have an actual conversation. Online: Using bank-approved payment pages, Service Users can collect customer detail in what is a more private, non-rushed manner. Direct Debit Scheme rules strictly dictate the content and layout of these forms. Once they have been completed fully and returned its details will be submitted to the bank electronically, but it is important to maintain the original form as proof of authorisation. Direct Debit Mandates created without a physical form (i.e. telephone or online) will need special approval from banks as information presented to clients will need sign off. Also, with no physical copy of the Mandate, it can prove difficult to prove that authorisation has actually been made should a payment ever be the subject of dispute. Regardless of the method chosen, once a Direct Debit Mandate is completed, it will need to be submitted to the banks, informing your customer’s bank of the DDI and allowing you to collect payments against it in the future. In terms of managing Direct Debit Mandates in the future, they can be cancelled by a customer through their bank.  Bacs will send you a message every time there is a change to any of your mandates, for example, if a customer cancels their mandate.